The Whately Diner Fillin’ Station is a classic "Princess" style diner built in 1958 by the Kullman Company of New Jersey. It was originally located in Chicopee, MA where it was known as the Princess Diner. It was purchased by the F.L. Roberts Company in the early 1970’s and moved to the current location. Originally, it was known as the "Maverick." The diner was recognized as one of the top ten diners in the United States in the September 1998 issue of USA Today, appeared in Yankee Magazine, and was featured on "Best of Diners", a Food Channel special. 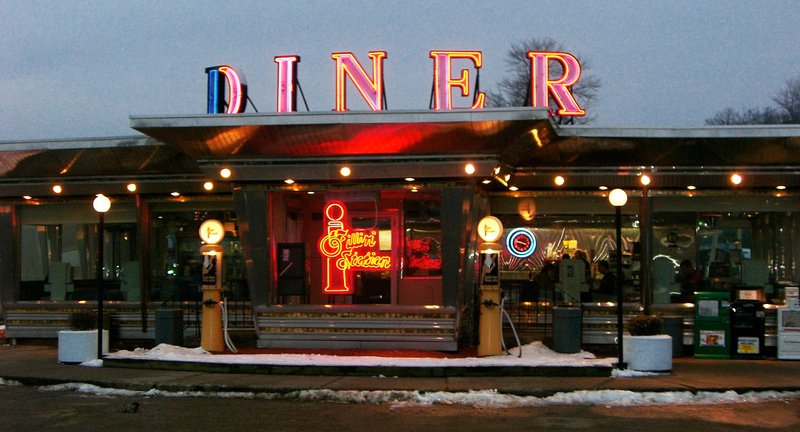 A scene from the motion picture "In Dreams" starring Annette Benning and Robert Downey, Jr. was filmed at the diner. Some celebrities that have passed through the doors of The Whately Diner Fillin’ Station include: Jason Robard & family, Ernest Borgnine, Christopher Reeve, Dr. Ruth & husband, Michael Douglas, Matt Dillon, Susan Lucci, Sy Becker, Chris Farley, BB King, Vanilla Ice and the Beastie Boys.